Ah, Sundays. I love rejuvenating weekends – they really do prepare me for another week of work. This weekend, my husband and I enjoyed a nice dinner out with my parents, a Saturday date to a local winery, time with friends, church, and a church picnic. Oh, and of course some grocery shopping! 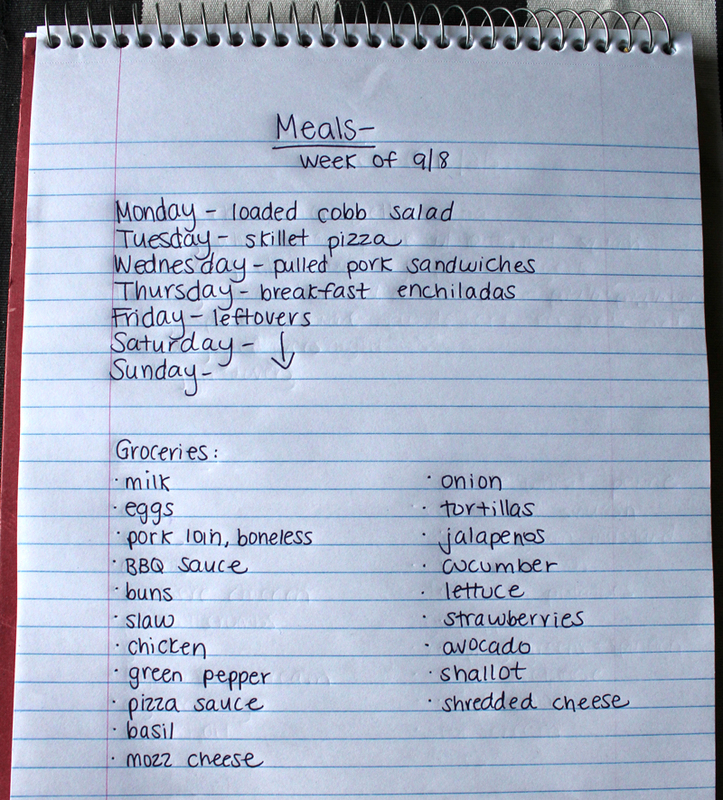 I love planning our weekly meal schedules – it is so much fun to think up new recipes, or try to improve some of our old ones. 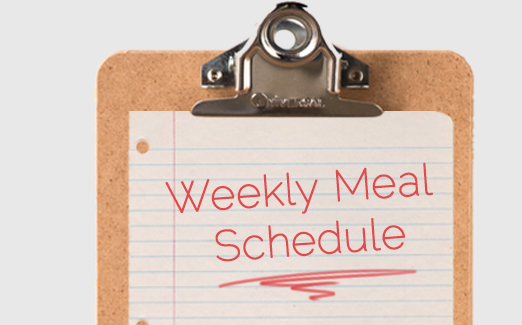 This week, we are going to make a loaded cobb salad, a margarita skillet pizza, pulled pork sandwiches, and breakfast enchiladas! We can’t wait!